Stand out with an effective elevator pitch. You’ve just bumped into a former patient or practitioner at the airport. After exchanging pleasantries, he asks you what your new Healthcare clinic does. You open your mouth, and then pause. Where on earth do you start? Then, as you try to organise your thoughts, his flight is called, and he’s on his way. This is one situation where it helps to have an “elevator pitch.” This is a short, pre-prepared speech that explains what your Healthcare clinic does, clearly and succinctly. In this article, we’ll explore situations where these are useful, and we’ll look at how to craft an effective pitch. An elevator pitch is a brief, persuasive speech that you use to spark interest in what your Healthcare clinic does. 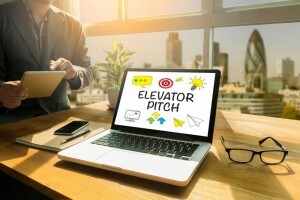 A good elevator pitch should last no longer than a short elevator ride of 20 to 30 seconds, hence the name. They should be interesting, memorable, and succinct. They also need to explain what makes you, or your clinic unique. For example, you can use one to introduce your Healthcare clinic to potential patients, or new referring practitioners. You could use them in your Healthcare clinic to sell a new idea to your employees, or to tell people about the change initiative that you’re leading. You can even craft one to tell people what you do for a living. It can take some time to get your pitch right. You’ll likely go through several versions before finding one that is compelling, and that sounds natural in conversation. For instance, do you want to tell potential patients about your Healthcare clinic? Do you have a great new technique that you want to pitch to a practitioner? Or do you want a simple and engaging speech to explain what you do for a living? Start your pitch by describing what your Healthcare clinic does. Focus on the problems that you solve and how you help people. If you can, add information or a statistic that shows the value in what you do. Keep in mind that your pitch should excite you first; after all, if you don’t get excited about what you’re saying, neither will your audience. Your pitch should bring a smile to your face and quicken your heartbeat. People may not remember everything that you say, but they will likely remember your enthusiasm. Imagine that you’re creating an elevator pitch that describes what your Healthcare clinic does. You plan to use it at networking events. You could say, “My Healthcare clinic does TV presentations.” But that’s not very memorable! That’s much more interesting, and shows how valuable you are to the Health industry and your patients. Identify what makes you, your Healthcare clinic, or your idea, or treatments, unique. You’ll want to communicate your USP after you’ve talked about what you do. Then, read it aloud and use a stopwatch to time how long it takes. It should be no longer than 20-30 seconds. Otherwise you risk losing the person’s interest, or monopolising the conversation. Then, try to cut out anything that doesn’t absolutely need to be there. Remember, your pitch needs to be snappy and compelling, so the shorter it is, the better! You may want to keep small take-away items with you, which you can give to people after you’ve delivered your pitch. For example, these could be business cards or brochures that talk about your special technique or Healthcare clinic. An elevator pitch is a brief, persuasive speech that you can use to spark interest in you and what your Healthcare clinic does. Try to keep a business card or other take-away items with you, which helps the other person remember you and your message. And cut out any information that doesn’t absolutely need to be there.